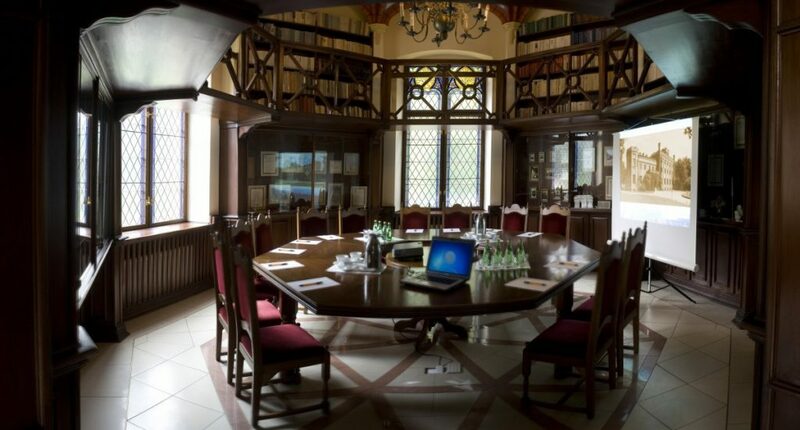 We are deeply convinced that the specific conditions of Jan III Sobieski Castle in Rzucewo – its romantic atmosphere, peace and charm of nature will favour concentration and work. Our years of experience will help you to organize conferences, seminars, courses and meetings. We are equipped with a few lecture rooms and conference facilities. We are in possession of accommodation for about 50 people. For the group we prepare special menu. Accomodation price depends on the group size and training period. Firms that are our regular customers are given special discounts. Spare time can be full of attractions: riding on horseback, Turkish baths, fitness centre, billiards or specially organised evenings. It will be a pleasure for us to welcome the families of training participants.